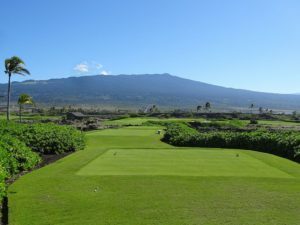 When the renowned Golf Architect Rees-Jones was renovating the also-renowned Mauna Kea golf course, when he turned his attention to another property, one that would become the Kohanaiki Golf Club. 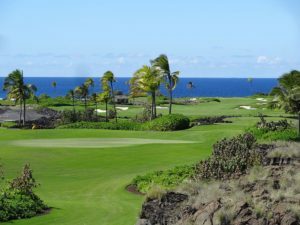 Opening on the tail end of the Recession in 2013, the Kohanaiki Golf Club is a private course that is the centerpiece of a 450-acre residential development. 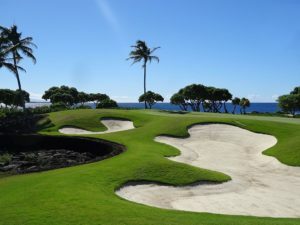 While the property is primarily reserved for members and their families and guests, one day a week is set aside so that the Hawaiian public can play among its fairways and bunkers. What a day it is! The most stunning thing that most visitors will notice is just how scenic the whole course really is. All of Hawaii is beautiful in its own way, but Kohanaiki is particularly spectacular. The blues of the Pacific Ocean, the green of the paspalum grass and other vegetation, the white of the bunkers, and the blackness of the lava rocks, all lend to a contrast of colors that is really quite stunning and creates one of the most photogenic courses out there. Scenery is nice, but what about the reason players come to Kohanaiki? 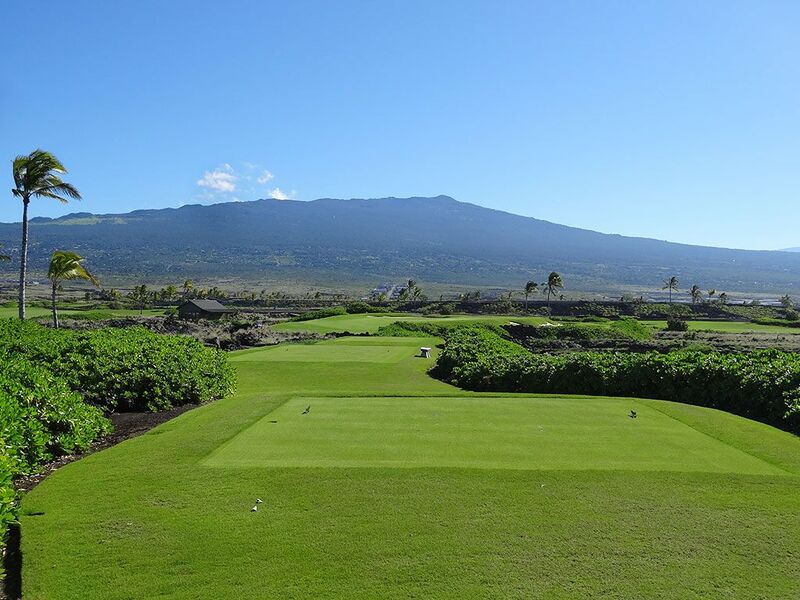 Being designed by Rees-Jones, Kohanaiki sports a championship level assortment of holes. The sea level elevation and coastal winds can make a shot not go as far as the player wants. Thankfully, there are three comfort stations scattered among the course, fully equipped with snacks, first class service and even a root beer float station. The perfect balm for a sub-par game. There are plenty of other amenities to enjoy at Kohanaiki ranging from pools and tennis courts and of course, fine dining. It is good to be king isn’t it?